In this week's Health Blog, the Wall Street Journal's Katherine Hobson asks readers to chime in on a "debate" among family doctors over the ethics of corporate sponsorship of medicine. The Consumer Alliance is a program that allows corporate partners like The Coca-Cola Company to work with the AAFP to educate consumers about the role their products can play in a healthy, active lifestyle. As part of this partnership, The Coca-Cola Company is providing a grant to the AAFP to develop consumer education content on beverages and sweeteners for FamilyDoctor.org, an award-winning consumer health and wellness resource. This content was developed with general underwriting support from The Coca-Cola Company. It's bad enough for a medical trade organization (and "award-winning" website) to be bought off by American's number one promoter of unhealthy beverages, especially to children, but now apparently, almost a year later, the issue has turned into fertile ground for navel gazing as a way of justifying the move after the fact. The physician has a duty to prescribe medications or make dietary recommendations based on scientific evidence. The companies have an interest in selling more beverages, or more drugs, regardless of the evidence. To gauge an individual or organization’s ethics, one must view its behavior over time, define the goal of that behavior and compare the outcome with the mission and values. Within this context, one can determine whether the assumption or appearance of conflict of interest or ethical lapse was, in fact, correct. What? She lost me somewhere between outcome and values. Taking money from Coca-Cola is not a science experiment that you watch over time, gather data, and then publish the analyzed results. But if one were to approach the issue that way, there's no shortage of evidence of Coca-Cola's "ethical lapses." Whether your concern is marketing to children, labor abuses, or contaminating water supplies in developing nations, Coca-Cola would be the one company you'd not choose as a partner. Journalist Michael Blanding has written an entire book called The Coke Machine: The Dirty Truth Behind the World's Favorite Soft Drink, due out in September, which chronicles these misdeeds and more. But why, almost a year later, is the AAFP journal publishing what amounts to an academic debate between two doctors over an issue that has obviously already been decided? I realize that wheels of academic publishing turn very slowly and that perhaps these articles were submitted months ago, but why was there no public debate before AAFP took the money? All this does now is give credence to idea that taking corporate money is a worthy subject of debate in the annals of medical journals, right up there with questions like, what sort of treatment a doctor should give patient X or Y. What about those 20 member doctors who resigned in protest last year? Where are their opinions published in any medical journal? This no debate at all. It's simply an effort to whitewash the situation so now AAFP can say: See, we grappled with the issue in our journal under the heading "Ethical Issues." 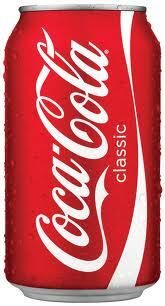 Oh and by the way, we're keeping Coke's cash. As I blogged about in March, Coca-Cola isn't the only soda company seeking to infiltrate the medical establishment. The Yale School of Medicine has partnered with PepsiCo to allow the soft drink and snack food giant to fund a research lab and fellowship. Where does this end? At what point will we no longer have truly science-driven research institutions and unfettered medical professionals available to help Americans sort through the confusing clutter of health and nutrition information? Or has that time already come? Let's hope not. You can send a letter to AAFP asking them to end the Coke deal here, on the Campaign for a Commercial-Free Childhood's website. This corporate whoring just gets bigger every day! Keep on exposing them. If only people would dump their stock of these companies, we could end these practices. I'm clean--how about the rest of you out there? Most people visit a family doctor when they are sick or injured, but being healthy also means taking care of yourself and maintaining a healthy lifestyle so you get sick less often. Did you know you can shorten your long urls with OUO and get dollars from every visit to your short links.